But — this is not about cryptocurrency. Cryptos were mentioned twice in the speech, and not as models to emulate. 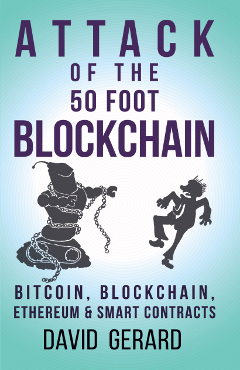 In the paper itself, cryptos are mentioned only as neutral-to-bad examples — “struggle to fully satisfy the functions of money.” The word “blockchain” doesn’t appear in either. The IMF wants retail customers to bank directly with their central bank — rather than one of the commercial banks, who are the central bank’s present customers. Most money is currently created not at the central bank, but at the commercial banks — who lend money, putting more of what’s effectively money into the economy. People expect their central banks to manage their economy, with monetary policy. But the levers aren’t very direct. Centralised money, and individual deposits at the central bank, would increase the central bank’s control and power. They could contract or expand the monetary base as the economy needs it. They could send interest rates negative! The attraction for retail customers is reduced exposure to problems at commercial banks — without limiting the convenience of digital banking. Commercial banks lend money from deposits. If they don’t have the deposits, they have to find the liquidity to lend money somewhere else — almost certainly from the central bank. Thus, the central bank becomes the arbiter of which loans are worth making. The commercial banks effectively become sub-branches of the central bank. The trouble is that centralised economies don’t have a great track record. They ossify, and show the sort of problems we had in the bad old days of the “hard money” gold standard — which we left behind precisely because it make monetary policy too inflexible. The official money becomes not so good as money — and private or foreign monies will begin to circulate as well … even if they’re not as good for the job of being money. 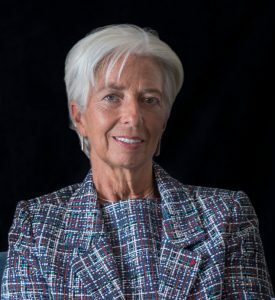 Lagarde has floated centralised digital currencies previously — but in that case, she was advocating them for countries whose own currency was failing. For instance, they could be issued one-for-one for dollars, or a stable basket of currencies. Issuance could be fully transparent, governed by a credible, pre-defined rule, an algorithm that can be monitored … or even a “smart rule” that might reflect changing macroeconomic circumstances. 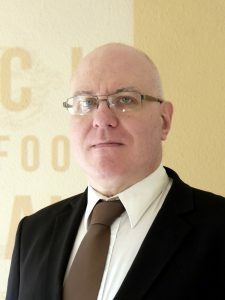 It’s about disciplining and educating non compliant indebted states in economic practices that satisfy the “international community”. Any sovereign state whose currency is stable, well respected and autonomous would have no interest in participating in such a scheme. At the moment, the Bank provides electronic accounts to commercial banks and key financial institutions, but the public can only hold central bank money in physical form — as banknotes. If a central bank issued a digital currency then everyone (including businesses, households and financial institutions other than banks) could store value and make payments in electronic central bank money. This could have wide-ranging implications for monetary policy and financial stability. Some research has suggested that the existence of a CBDC might make the pass-through of monetary policy changes more immediate. But it could also introduce new risks. In particular, the possibility of large moves from bank deposits to CBDC could reduce the funding and liquidity of commercial banks. This could restrict their ability to provide credit, or in the extreme case pose a threat to financial stability. At this point, it is not clear that any beneficial impact of CBDC on monetary and financial stability would outweigh the risks it could introduce. Further research is needed by both academics and central banks to explore these complex issues. There are also broader societal questions that others would need to answer — the decision to introduce a CBDC would not be exclusively for the central bank to make. The Bank has an open mind about the eventual development of a CBDC, but does not plan to issue one in the medium term. We continue to research the topic and have published a list of research questions to encourage external research. We are also working with other central banks to explore these complex issues. However, in terms of policy actions, the Bank is currently focussed on measures that will deliver more immediate improvements to payments, such as the programme to rebuild our Real Time Gross Settlement system. The paper discusses direct central banking in a manner that tries to appear balanced. But Lagarde’s speech, and the publicity, directly advocate the idea — and not just for failing economies. My current theory is the Fallacy of Big Data, and the bureaucratic urge to centralised control — if only we had more data, then we could run everything perfectly! This is not an unreasonable urge! A central bank’s job is to manage an economy. And that requires data. And if the IMF gives you aid money — they want to know it’s being used properly, and not being siphoned off. This new system would do that … by putting everyone into a central Panopticon of Money, where all transaction privacy disappears. If you think any of this will be as anonymous as cash — you’re wrong. There’s no way this will be more anonymous than using your bank via touch card is now. It’s not clear that’s a great outcome. But anonymous physical cash is already going out of fashion. In the UK, touch cards hooked to your bank account are literally more popular than cash. Sweden is even further along this path, and its economy isn’t suffering. So I won’t say this is an idea that can’t possibly work out okay … I can just see a lot going wrong with it. Thanks to Stefanie Schulte for research help. Negatives list largely from Izabella Kaminska.